The Fiddes family from Royal Wootton Bassett rank in the top 10 percent of Britain's wealthiest. 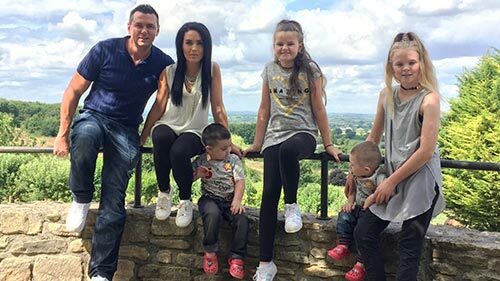 It's not uncommon for them to blow around £500 in a day on family treats. Matt made his first million by 21 so he hasn't had to worry about money for most of his adult life. He doesn't bother picking up £20 notes that fall out of his Bentley (he actually admits to this). They swap places with the Leamon family who are among the nation's poorest 10 percent. At at the end of the week, how will they have reassessed their own day-to-day lives? The seduction continues as infidelity, ambition, secrets and betrayal collide to introduce Season 5. Picking up where it left off, Melanie contends with Derwin's abortion accusation; Malik and Tasha struggle to wrangle an intoxicated Jenna; and Kelly is still off in the world trying to find herself, leaving Jason forced to come to terms with his feelings towards Black women. The new season also ushers in a new love interest for Jason, who is sure to shake things up. After the surprising reconciliation between Vicki, Tamra and Shannon at last season's reunion, the ladies are working to rebuild their friendship and regain each other's trust. But they all know it will take more than a hug to repair the rumours, betrayal and damage done over the years. Newly single, Shannon and Kelly have both moved into new homes and find that they are approaching their post-divorce life very differently, as they navigate the dating world, raise their daughters and launch their own careers. Vicki and Steve's relationship is still going strong, but the OG of the OC wants him to commit and be more than just a boyfriend. Meanwhile, Tamra fears that a health scare for Eddie could have bigger consequences than just sidelining her husband from CUT Fitness. In the spirit of reconciliation and new beginnings, Tamra brings her estranged friend Emily and acquaintance Gina into the group to shake things up in the OC. 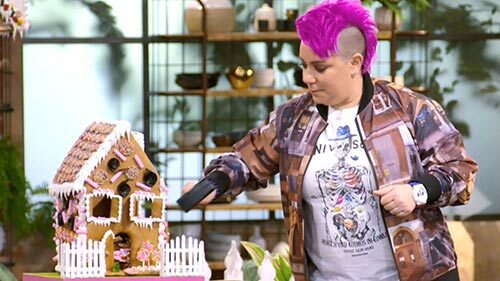 Family teams of four pull out their best culinary moves in the kitchen, serving up authentic family dishes and drama in this Aussie foodie competition. Tapping into each family's uniquely diverse cultural heritage, along with their countless culinary influences, the series takes homestyle cooking to a new level as family recipes rich in tradition and shared over generations are put on display. Rather than five-star restaurant cuisine, the show focuses on relatable, yet aspirational, home-cooked meals, inspiring budding home cooks across the nation to don their aprons and get into the kitchen together.